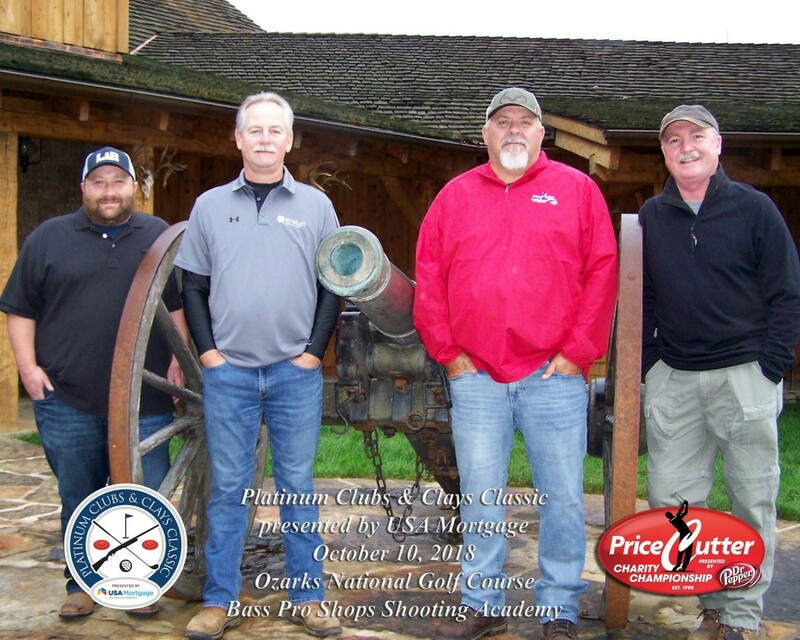 The second annual Platinum Clubs & Clays Classic presented by USA Mortgage enjoyed a successful Wednesday at both Ozark National Golf Course and the Bass Pro Shops Shooting Shooting Academy, as 18 teams participated each in morning and afternoon rounds. 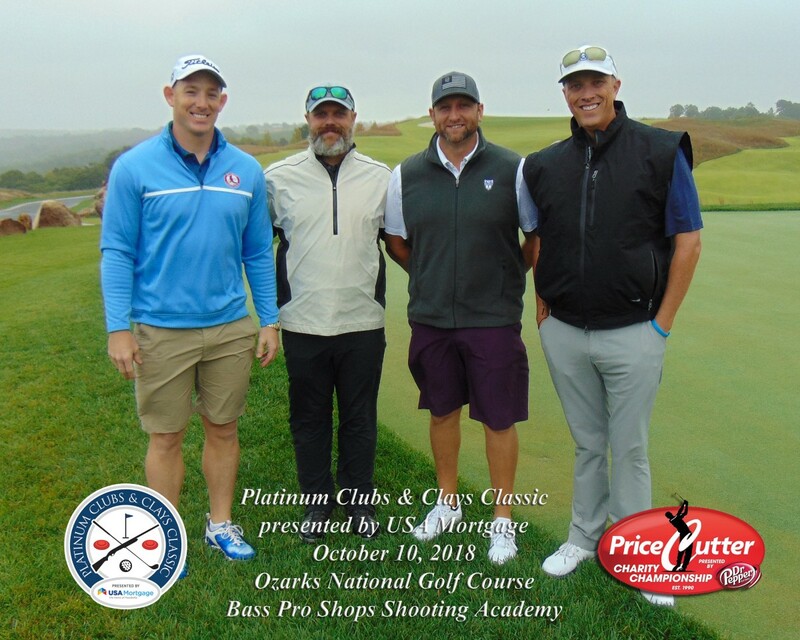 At Ozarks National, a Bass Pro Shops-sponsored team of Jerod Hicks, Steve Ehase, Justin French and Jeff Lee fired a 23 to win the morning round as the event played only the first nine holes. Placing second was the Roark Group-sponsored team, which fired a 26 thanks to Jerry Marti, Jeremy Marti, Clifford Smith and Nick Rouse. 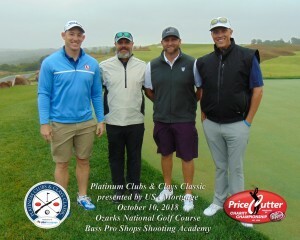 An OakStar Bank-sponsored team of Jesse Reed, Tyler Maggi, Paul Echert and Travis Beazley carded a 28 and took third place. Hiland Dairy won the afternoon round of clubs. In afternoon competition, the Hiland Dairy team of Rob Ballowe, Adam Naegler, Rick Beaman and Nate Argus fires a 26 to win the nine-hole competition at Ozarks National. Missouri Equipment Leasing took second place, firing a 27 behind Tara Rayle, David Coutchie, Matt Flattem and John Griefe. Placing third was the Roger and Cindi Holden-sponsored team of Craig Wagoner, John Cyrus, Brad Jones, David Petiford and Chip Wagoner. KOLR 10 won the morning round at Bass Pro Shops Sporting Academy. At the Bass Pro Shops Shooting Academy, the KOLR/KOZL-sponsored team of Steve Butler, Chris Haynes, Shawn Piacheck and Mike Irvine won the morning round with a 277. Hiland Dary finished with a 226 for second place behind Ballowe, Beaman, Naegler and Joe Naegler. 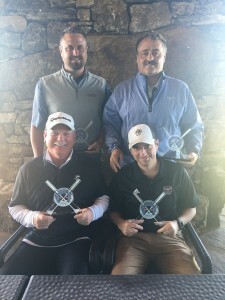 The Landau-sponsored team of Craig Curry, Wes Curry, Austin Curry and Andrew Smith finished with a 195 for third place. 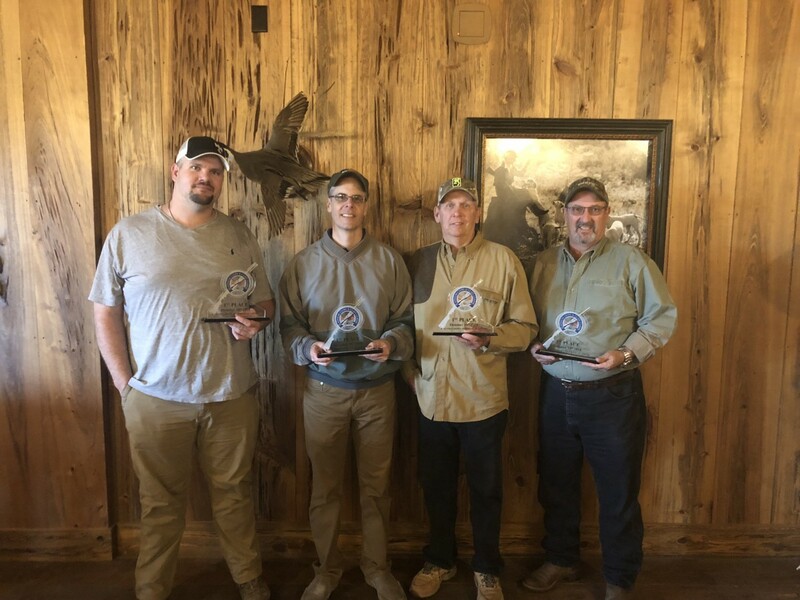 Bass Pro Shops won the afternoon round in clays competition. The afternoon round was won by Bass Pro Shops, which fired a 203 thanks to Jerry Martin, Steve Wilson, Ryan Farrell and Eric Thompson. Second place went to B&T Electric, which carded a 192 behind Matt Kelly, Taylor Robertson, Garret Dowling and Sean Touvenot. USA Mortgage took third with a 163 on a team featuring Eric Morris, Taylor Eagles, Mike Verrone and Casey Cooper.